Let us transform your old, discolored and worn concrete floors into beautiful, durable, and sustainable polished concrete floors. 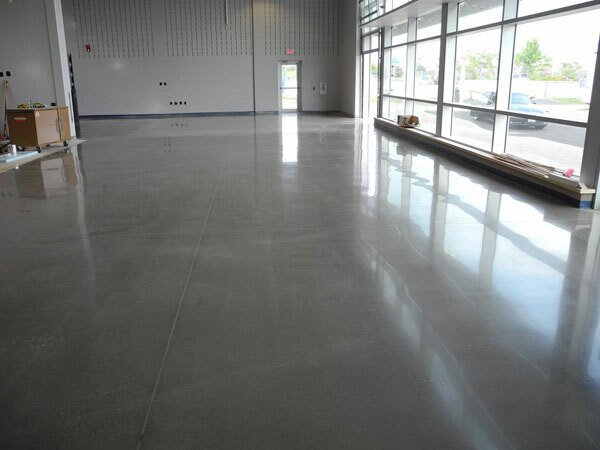 We specialize in industrial and commercial polished concrete flooring. Call now for a free quotation, (416) 302-0333. Concrete is one of the most common building materials in modern buildings and yet it’s one of the least exploited. It has become such a ubiquitous building material because of its amazing strength, durability and cost effectiveness. Explore our Services, Projects and Polished Concrete Explained sections to find out how you can unleash the hidden value in your concrete floors.